Is an autoimmune disease that causes hair loss in children, women, and men. It usually begins with a few bald spots (areas) on the scalp. It is possible to lose hair anywhere on your body though. Some people have noticeable hair loss on their eyebrows and/or eyelashes. 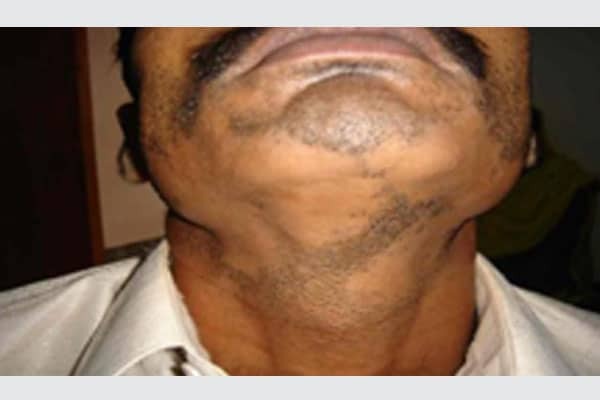 Men also can have noticeable loss of facial hair that causes patches of bare skin in the beard area. This disease causes the person’s immune system to mistakenly attack the body’s hair follicles, as it would germs. This causes the hair in those follicles to fall out and stop growing. This varies from to person. It is likely that your hair will regrow, but it also may fall out again. This cycle of hair loss and regrowth is unpredictable. Some people develop a few bald patches. After their hair regrows, they never have more hair loss. Others may lose most of their hair. 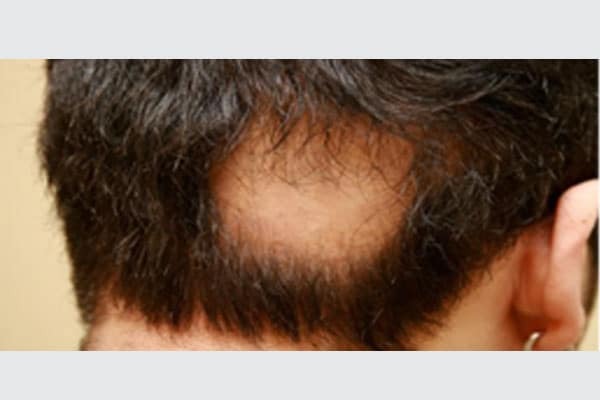 No matter how much hair a person loses, hair regrowth is usually possible. When the hair regrows, it may grow in white or blond and finer than before. This is usually temporary. With time, the person’s natural hair color and texture often return. Many people find their hair regrows without treatment. Hair regrowth can be slow, though. Some people do not see the hair regrowth they expect. This medicine calms the immune system, which can prevent it from attacking the hair follicles. When treating alopecia areata, a dermatologist will either prescribe a topical steroid to apply to the skin or will inject the corticosteroid into the bald area. If you are prescribed topical steroids, the steroids need to be applied daily to the areas of hair loss. 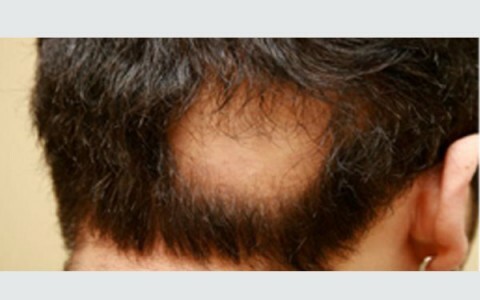 Hair regrowth may begin after three to four months of treatment. If you receive injections of corticosteroids, you will need several shots every three to six weeks. When effective, patients usually see signs of hair regrowth about four weeks after receiving the first injection. A dermatologist may prescribe an oral (taken by mouth) corticosteroid pill if a patient has extensive hair loss. Not every patient with extensive hair loss receives this treatment. The risks and benefits should be considered carefully before starting oral corticosteroids particularly in children. People use this popular treatment to regrow hair. Your dermatologist may prescribe topical minoxidil as an agent that can help hair regrowth in many hair loss conditions, including alopecia areata . Minoxidil must be applied twice a day to areas where you want to see hair regrowth. When effective, you will see signs of hair growth in about 12 weeks. Your dermatologist may recommend an oral treatment. This could include methotrexate, cyclosporine or their immunomodulators. These medications have serious side effects that you should discuss with your dermatologist. Dr.Kamil AlRustom offers the photochemical treatment in his new clinic for his patients with many diseases like Psoriasis, vitiligo, alopecia (areata, totalis, universalis), chronic eczema, skin lymphoma, Mycosis fungoides, morphea, and others. He offers this new and effective treatment. PUVA is a combination treatment which consists of Psoralens (P) and then exposing the skin to UVA (long wave ultraviolet radiation).